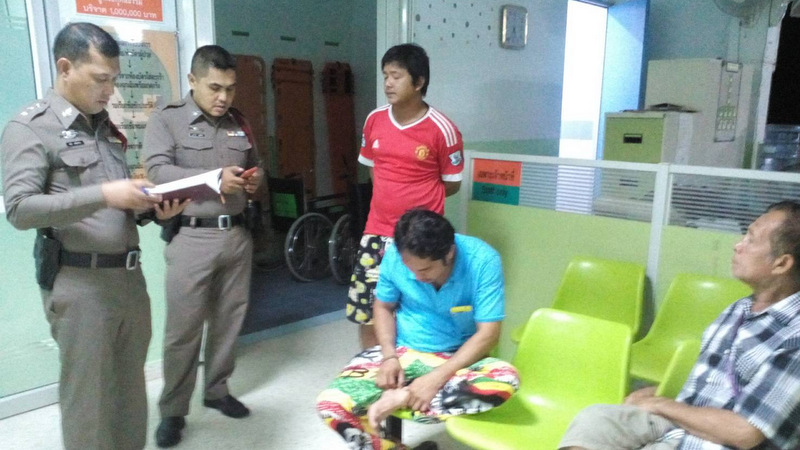 PHUKET: Police are questioning a stepfather who struck a 21-month-old* baby with a broom for playing with his poo. 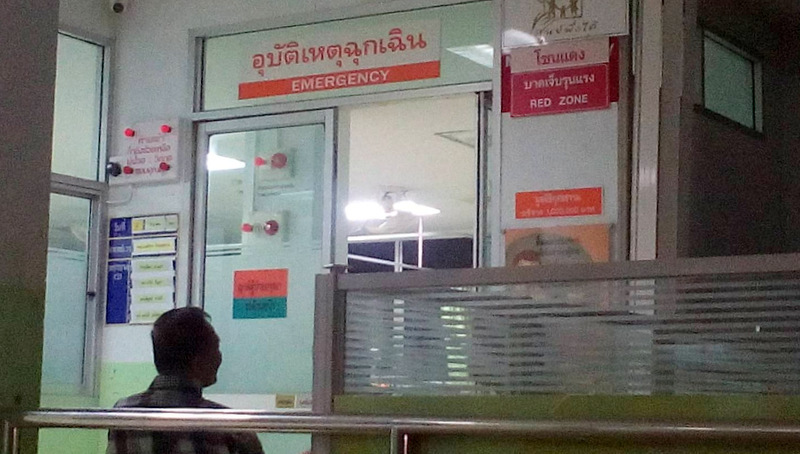 The baby, covered in bruises, died at Thalang Hospital early this morning (Aug 9). Staff at the Emergency Room of Thalang Hospital notified Thalang Police that the infant Thanawat ‘Captain’ Jan-On had died at 5:15am. 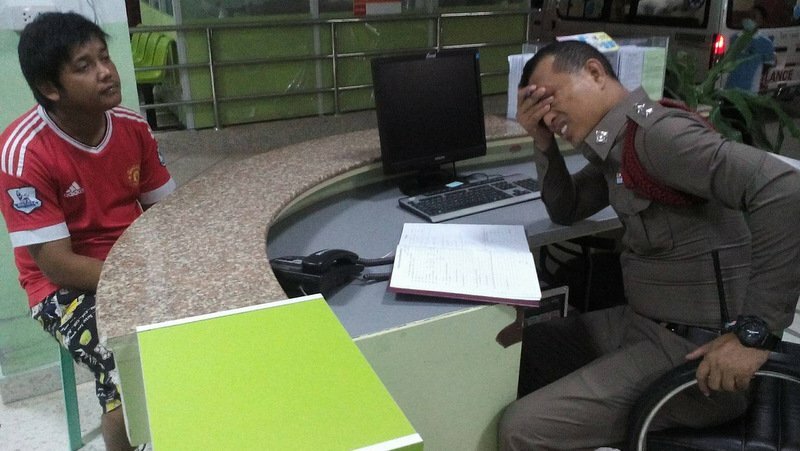 Capt Jaras Lemparn and other investigating officers of the Thalang Police arrived at the hospital to find green bruises under the baby’s right eye and other places on the head and on the body. The officers took the stepfather, 28-year-old Aphilak Anukarn, to Thalang Police Station for questioning. Aphilak explained that he had been living with Captain’s mother, Angkana Jan-On, for about two years at rented a house in Soi 12 in Cherng Talay. They had an 8-month-old baby together and Miss Angkana was pregnant with another child, he said. Captain had been living with them for about three months. The baby was previously cared for by his natural father. Aphilak said that he had hit Captain with a broom because he played with his own poop. He also added that Captain liked to hit the floor with his head. At 3am today, Captain had a spasm and fell unconscious, so he called Miss Angkana, who was working at a convenience store at the time, Aphilak said. Miss Angkana soon arrived at the home and they took Captain to Thalang Hospital. Doctors did their best to help the baby, but he later died, Aphilak said. Police confirmed that have yet to charge Aphilak as they are waiting the results of the post-mortem examination from the hospital, but promised to investigate all people involved in the baby’s death..
* As confirmed later by the baby's birth ceritifcate, not 19 months old as originally reported.